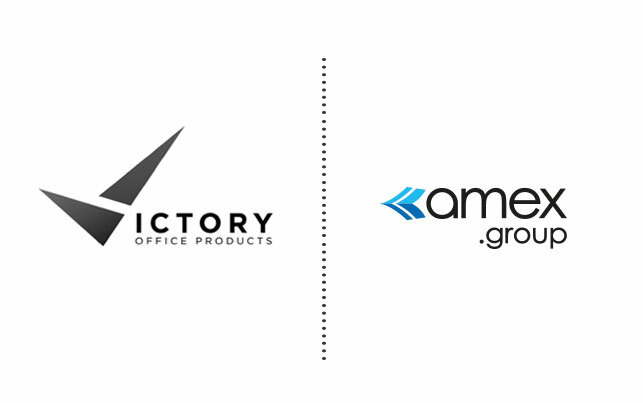 We are very pleased to announce that in July this year, Victory Office Products and Amex Stationery decided to combine their forces and establish cooperation in the distribution of products offered by Victory Office. Victory Office Products Sp. z o.o. is the largest manufacturer of office accessories in Europe. Day by day, a team of experienced professionals makes every effort to ensure the highest standards of quality and functionality of the Victory Office products. Determination and striving for perfection allowed the company to quickly achieve the position of a leader in the production of office accessories on the European market. 70 technologically advanced machines located in the factory in Połczyno (Pomerania) produces more than 50 tons of steel products every month and the company distributes them to the Polish, German, English and Russian market. Thanks to the transfer of marketing and distribution to Amex, the Victory Office company will be able to focus on further development of its products and put another milestone in building their brand. According to the agreement, the Victory Office products will be available in the Amex offer from September, 1. For further information, please contact our CS.